Can religion survive Darwinism? Do scientists entering the lab or heading for the field have to bracket, or reject outright, all religious commitments and convictions? 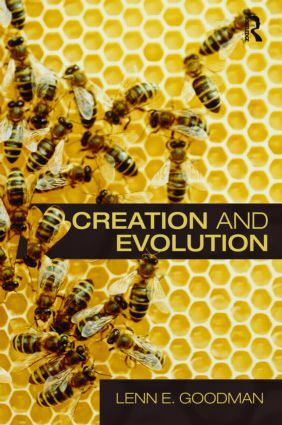 Trenchantly laying out the evidence for natural selection and carefully following and underscoring the themes and theses of Genesis, L. E. Goodman traces the historical and conceptual backgrounds of today’s evolution controversies, revealing the deep complementarities of religion and the life sciences. Solidly researched and replete with scientific case studies, vignettes from intellectual history, and thoughtful argument, Creation and Evolution forthrightly exposes the strengths and weaknesses of today’s polarized battle camps. Religious and scientific fundamentalisms, Goodman shows, obscure the real biblical message and distort the deepest insights and richest findings of Darwinian science. L. E. Goodman is Professor of Philosophy and Andrew Mellon Professor of Humanities at Vanderbilt University, USA. His previous publications include Love Thy Neighbour as Thyself (2008), Islamic Humanism (2008) and In Defense of Truth: A Humanistic Approach (2001).